← Story info, covers, sequel! 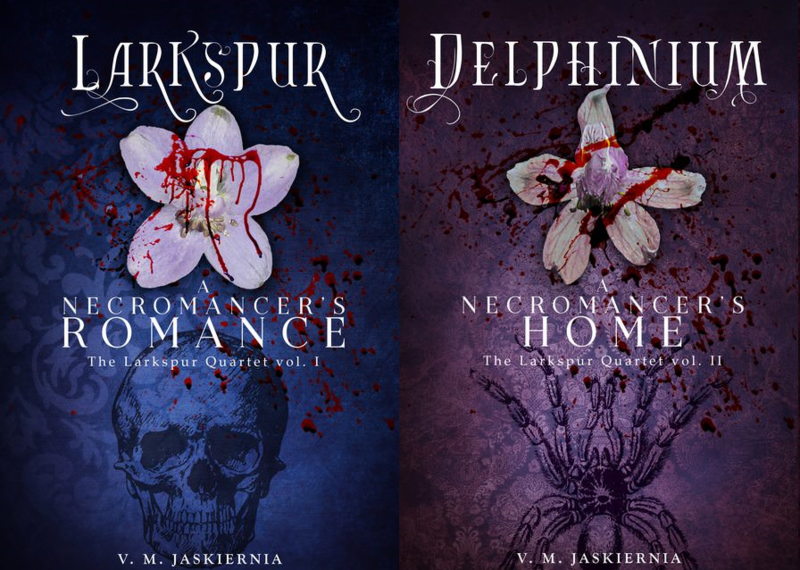 I have spent the entire day writing and editing Larkspur. I have a little over 12K (cut a lot, added a lot), and I need a few more scenes fleshed out before I’m satisfied with the arc. I think I can get the end wordcount at ~15K. By technical definitions this would make it a novelette, though novella has been used for that length as well (I prefer the term novelette honestly). Unfortunately have classes all day long tomorrow, so it takes the entire day away from me writing-wise. That said, I think I’ll finish soon. Really soon. I am hesitantly promising that I will have Larkspur done by the 22nd. It will be the day after Spring starts, and canonically the last day the story takes place on as well- it spans Martius/Prima 14th – 22nd. The dates are very important for fictional magical fée reasons, and there’s a certain level of satisfaction to finishing the book on the canon-dates. I couldn’t have it done for the 14th, but I’m doing my best to have it done at least by the last day. You can imagine the actions had to finish taking place before I could write them down and give them story form. This is my first book, my first completed story in years. I have worked on it for two years, trying to make it perfect. I know it isn’t, but it’s as close as it is going to get. I need to work on the next story, and actually be a writer and author. I am going to try my damnedest not to take another two years for the next story. If I can find some sort of rhythm I will attempt a monthly schedule, but I can make no hard promises at this time. Think of it like comic book releases, a month apart, but sometimes there’s a ~week off one way or the other depending when it’s published. I have an idea of what the next few stories will be (one a sequel to Larkspur, and another the beginning of a different realm’s stories), and between trying to work within an outline and giving myself real ‘writing time’ I hope I can become professional very quickly. The story will be uploaded to Kindle late the 21st, or early the 22nd. I have heard it may take Amazon 24-48 hours to put the book up for sale (I had hoped it was far faster, but alas) and so I am giving the official release date as Monday, March 24th (if it shows up online before, say the evening of the 23rd, I will inform everyone!). The first two or three days it will be free, I just ask if you do read the story you leave a review.